This short video testimonial introduces a good practice by Prof Andrea Karpati on testing arts in schools with multimedia. This short video was recorded at the 'Teacher Training' themed interactive workshop session hosted by the DigiSkills project at the 2014 EDEN Annual Conference. The workshop gathered a group of trainers of teachers to discuss the latest inititatives. Three short videos were shot at the last European Digiskills event in Zagreb to introduce good practices by experts. The 'Teacher Training' themed interactive workshop session was hosted by the DigiSkills project at the 2014 EDEN Annual Conference and gathered a group of trainers of teachers to discuss the latest inititatives. A collection of videos demonstrating good practices on successful embedding of ICT in teaching and learning on different levels in schools - both primary and secondary schools are posted in this site. The first set of videos provides school level examples from six LSL Advanced Schools. The schools of the Living Schools Lab network will create resources and examples of their innovation use of ICT in teaching and learning. In their "Showcase" section you can find videos, articles and many more. 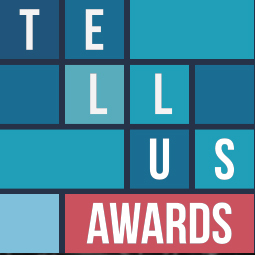 TELLUS AWARDS contest is open! Participants from large companies, SMEs, innovators, formal education actors and students are invited to submit their innovative technologies for a better, more modern education. Every week the European Commission's portal, Open Education Europe features a note-worthy school on its homepage. If your school has innovative practices you'd like to share, nominate it here! The DigiSkills Summer School 2014 took place in Marathon, Greece from 13/7 to 18/7/2014. It was organized in the context of the “ENTREDU” project, co-financed by the European Commission, Competitiveness and Innovation Programme (CIP), and the “DigiSkills” project, which is co-financed by the European Commission, Lifelong Learning Programme (LLP). The European Year of Languages 2001, jointly organised by the Council of Europe and the European Union, involves millions of people across 45 participating countries. Its activities celebrated linguistic diversity in Europe and promoted language learning. Spanish partner, CECE (Confederación Española de Centros de Enseñanza - Spanish Confederation of Education Centres) reported that Digiskills was presented to the participants of the Summer Conference of the EFAs - National Union of Familiar Agrarian Schools in a workshop on the 2nd of July, 2014. The “Innovative Practices for Engaging STEM Teaching” course is starting on 18th August 2014. The course aims to provide teachers, school counsellors and career advisers with resources and ideas to increase pupils’ interest for STEM (Science, Technology, Engineering and Mathematics) subjects and careers. The course is designed in response to the worrying disengagement of young people from STEM subjects in school, and their decreasing interest in related careers. It's free, it's online and it's for you if you are classroom practitioners and other educational professionals working in schools who are interested in innovation in teaching & learning. Enrollment for the 2nd round of the Future Classroom Scenarios course opens on Friday 20th June. The course will start on 28th July 2014.